Property Detail: Phuket real estate- This unique house, it was designed by European builder. 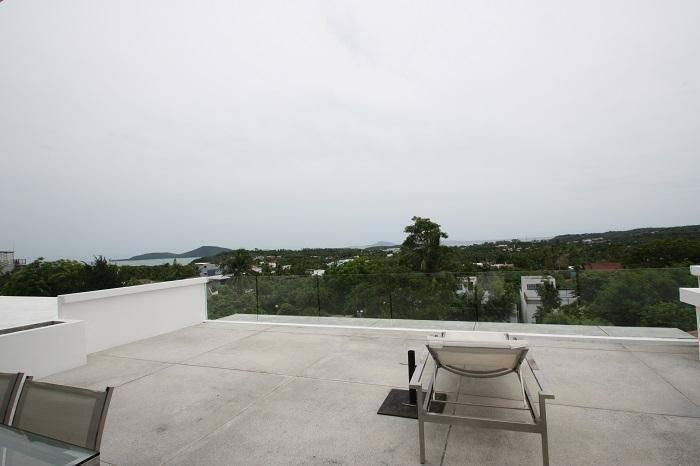 Ideally for holiday home, family home or holiday rental investment as it located just next to the mangosteen resort and hotel in Rawai, south of Phuket island. 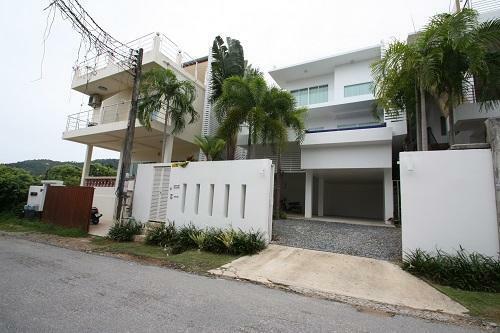 The property is walking distance to shops, Thai and International restaurants and convenient local store. Naiharn sandy is few minutes way, which is within 5 minutes? reaches. 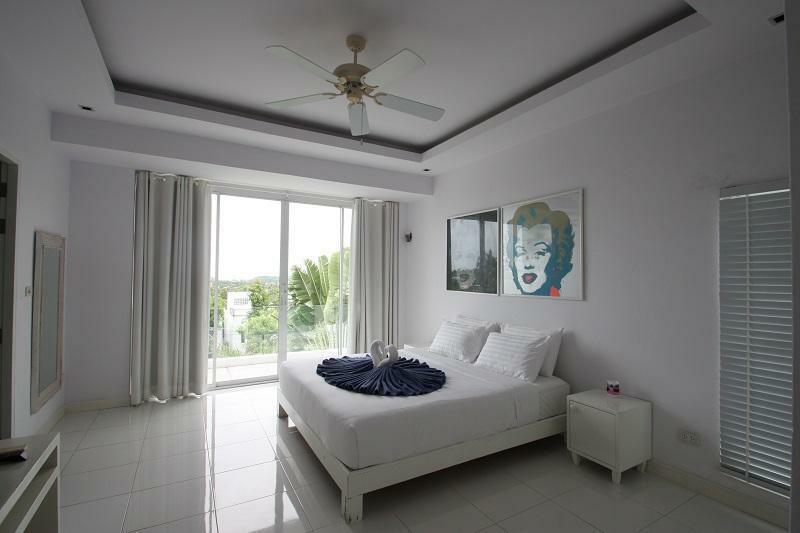 Villa comes fully furnished, best Seaview on the top floor. 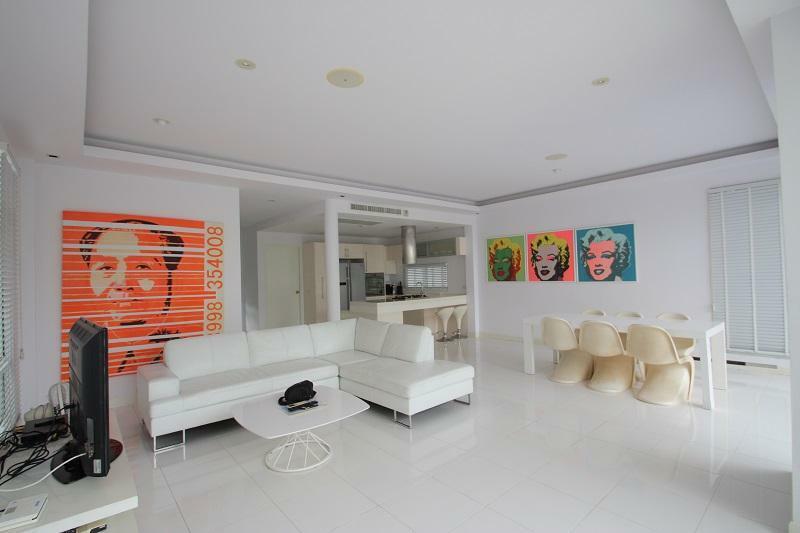 Designed in modern style, interior is created for a western and European living. Built up area of 240-square meter on a land plot of 214 square meter, the property composed of 3 bedrooms, 1 en suite bathroom, 2 shared bathrooms, an open plan fully fitted Western style kitchen and an open plan living & dining area. On the roof terrace is overlooking sea. Here is also a minibar area for relaxing. on the first level is designed for the car parking space where it easily park for cars and motorbike. an outdoor stair case lead up to the second level will meet a private swimming. Walk in to the wide sliding door are an open plant living area, an open dining area and fully fitted western kitchen. 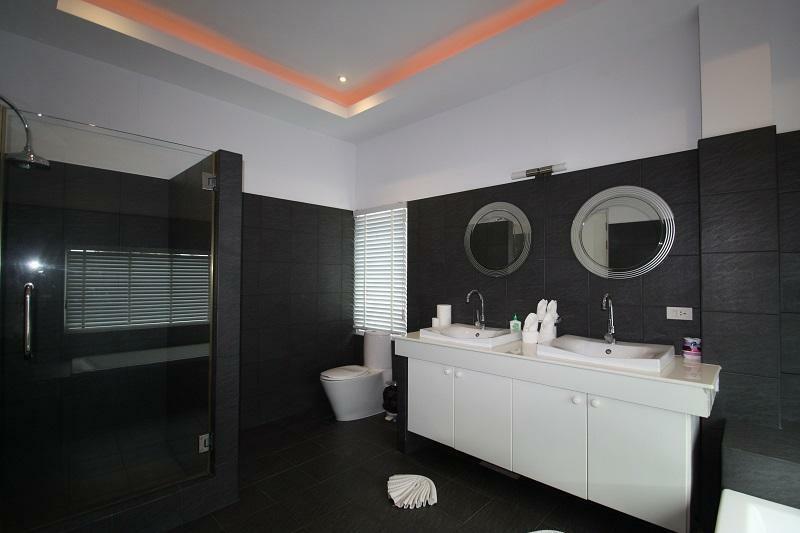 This floor also consisting of 3 bedrooms with 3 bathrooms. On the top of the building is a counter bar to serve the guest the best view while enjoy sea view and the sun goes down for special time in evening. For your convenience, this 3-srorey house provides air conditioners-ceiling fans, Cable Television, Telephone line, Internet ADSL, covered carport, laundry area, storage room and a private swimming pool. 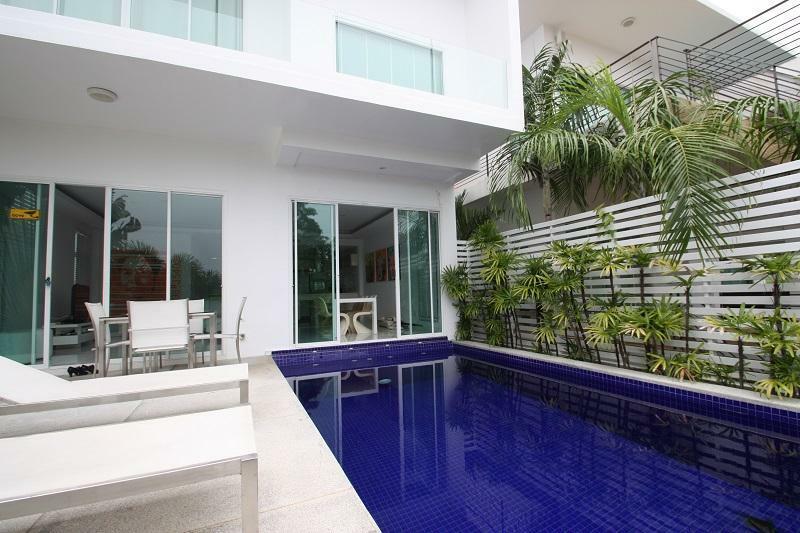 Price is asking at 14.9 million THB.